There were standout performances around the professional landscape this weekend, and a number of former USL League Two players were among the stars. 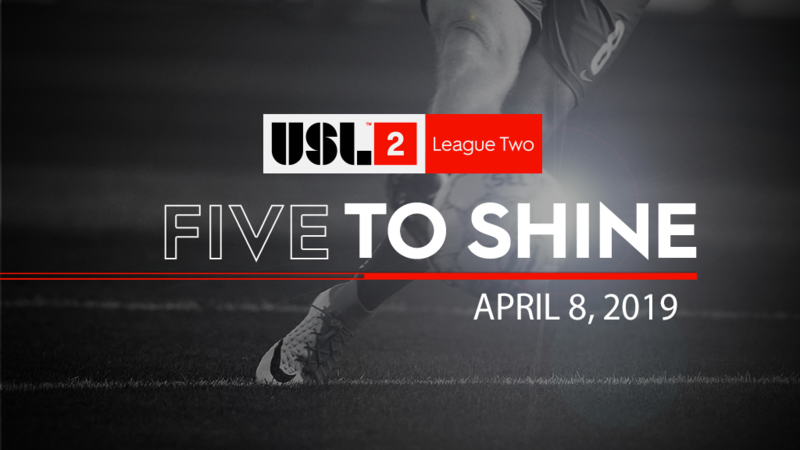 To highlight these tremendous talents, "Five To Shine" is here this week to shine a spotlight on five former League Two-ers that put in the work over the weekend with their pro club. Orange County SC's Darwin Jones had himself a tremendous weekend for the USL Championship side, netting two goals as his team picked up their first win of the 2019 season. Meanwhile, Tampa Bay Rowdies midfielder Andrew Tinari and Lucas Coutinho of Tormenta FC each scored for their respective sides en route to victories this past week. Coutinho and Tormenta have begun their inaugural USL League One campaign with an unbeaten start through three matches. In MLS, for League Two players Chris Mueller (Orlando City SC) and Stefan Frei (Seattle Sounders FC) made major impacts for their clubs. Mueller scored a goal after being substituted on for the Lions and helped guide Orlando City to a 4-3 win over the Colorado Rapids. Frei kept a clean sheet for the Sounders, while making four saves for the unbeaten Western Conference side. Below, check out how all five players performed over the weekend.